Operations and Supply Chain Manager is responsible for the effective and successful management of the flow of goods and information through the value chain from materials acquisition & production to final consumption, quality control and safety measures. This position is based at our Santry premises, Dublin. All duties to be completed to the standard of excellence that characterises our Company and always delivering excellence to support growth and business retention. To manage a team who excel in customer service and consistently meet and exceed our customer expectations. Ensure compliance with all relevant legislation including health & safety, environmental, quality and employment law. Serve as the primary point of contact when there are customer issues relating to quality of product, customer service, accidents and mis-haps on-site and at customer premises. The Operations & Supply Chain Manager will be responsible to plan, organise and maintain an optimal product supply chain that delivers quality and cost-effective products on-time throughout the product life cycle. The incumbent will be responsible for the coordination and management of all the activities related to forecasting, customer orders taking, order processing, planning, production management, purchasing, inventory management, shipping and orders tracking. They will be responsible for the optimisation of the supply chain for cost effectiveness, on-time delivery and quality; supply chain process documentation (procedures, logs, forms, etc. ); data management and reporting; ERP and other supply chain and operations related systems support. To seek to enhance product knowledge by gaining information from a range of sources and to share this product knowledge with staff. Carry out all reasonable tasks and requests as assigned by members of the Management team. Ability to work to agreed set of KPI’s and to measure and set performance targets of operations against these. Adaptable and flexible with a positive attitude and disposition. 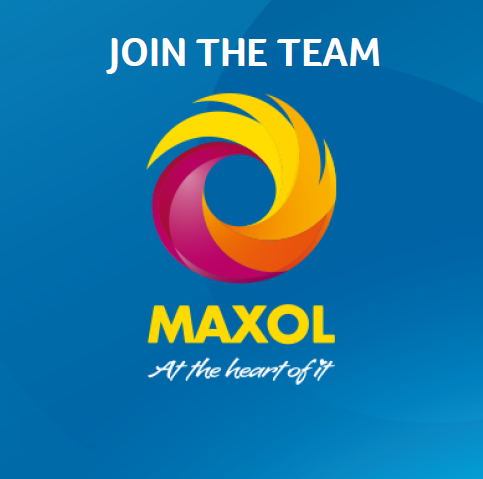 About Maxol: The Maxol Group is Ireland's leading family-owned oil company. Our business, which was established in Ireland in 1920 by William McMullan, markets a comprehensive range of oil and petroleum products to all sectors of the Irish Market, through our Retail, Lubricants and Fuelcard divisions and continues to grow today under the ownership of the McMullan family. Diversity: We are proud to be an equal opportunity employer. Creating an inclusive culture where all our people achieve their potential is fundamental to our business.